Waste management for small businesses can be challenging; we understand that you need a reliable and cost-effective service. As a small business, you have a lot to deal with – sales, finances, staffing, utilities, health and safety, and, of course, your waste and recycling collections. You are not alone, as Westminster is home to all kinds of small businesses that operate in many different ways and require all types of waste and recycling services. As such, it can be easy to find yourself facing a waste-related issue or discover that you have contracted a sub-standard private waste collection service. We understand that in order for small businesses to prosper you require flexibility, simplicity, low costs and reliability and that means you need a waste collection service that provides all of this. Here at Westminster City Council’s Commercial Waste Services, we can provide you with all of that 24 hours a day, 365 days per year. Our role is also to help you navigate the many laws and regulation regarding the disposal of waste and recycling in Westminster. We can help you reduce waste and recycle as much of it as possible in order to manage it in an environmentally responsible and lawful way. Don’t run the risk of being prosecuted for fly-tipping by using a waste operator that seems like a cheap deal but in actual fact, disposes of your waste illegally or doesn’t collect in line with regulations. As a local authority, we comply with strict waste management legislation and can give you the cast iron guarantee that the waste we collect from you is disposed of or recycled correctly. For all business types, it's inevitable that some general waste will be generated, no matter how good you are at recycling. This is why it's vital to have cost-effective general waste collections that send zero waste to landfill. We offer a range of recycling services to support the needs of your business. As small businesses might not produce enough recyclable waste to warrant segregated recycling collections, you could benefit by using our mixed recycling option. Small businesses of all kinds will produce food waste. Our segregated food waste service consists of collecting your food waste separately and sending it for composting in an anaerobic digestion facility - the most environmentally friendly method of treatment for this type of waste available in the UK. 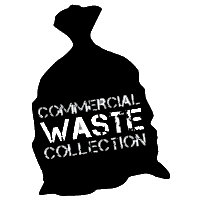 Confidential waste collections can often be forgotten by small businesses. If you want to keep your private documents safe and secure then we would advise using our confidential waste service. In which ways can we help your small business? Small businesses often don’t have the space required for waste and recycling bins, as an easy alternative you can dispose of your waste using bags. Ordering waste bags has never been easier – simply create an account on our online portal and you’re good to go. Get started with your online portal. We know that some small businesses require waste disposal all year round. And so, unlike some other waste collectors, we never stop collecting waste. 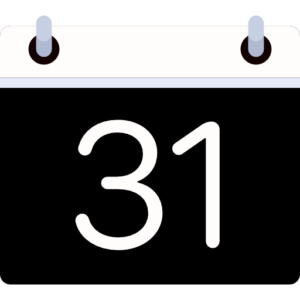 You will find us collecting waste 7 days a week as well as on all Bank Holidays – even Christmas Day! A waste audit gives you the opportunity to get practical advice and suggestions from one of our small business waste experts. They will come to your premises at a time that suits you and provide you with valuable information that can help you improve your waste management. Book your waste audit now. We can collect items that don’t fit in as part of your normal collections on an ad-hoc basis. Our ad-hoc services range from bulky items such as tables and chairs to electrical equipment. Learn more about our ad-hoc collections. We can give you the advice and support you need to help your business stay within the law. There are strict laws on waste disposal in Westminster, and it’s crucial that you have a waste operator that meets these requirements not just pays the fly-tipping fines for you. Talk to our small business waste management experts, they have decades of experience in helping your business achieve an environmentally friendly waste disposal service. Get in touch today to see how we can help your business improve its waste management. 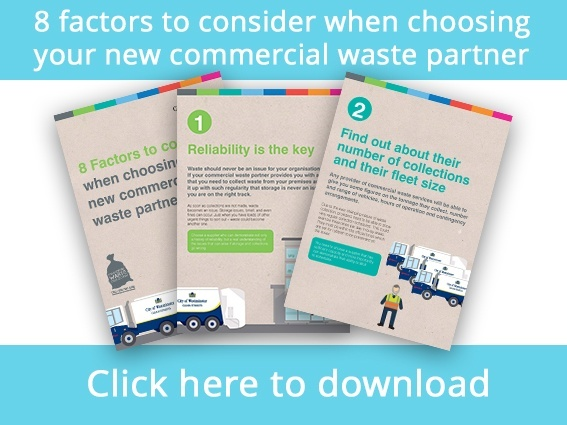 Our guide on 8 factors to consider when choosing your new commercial waste partner covers useful information that you should be receiving from your new potential partner. The guide also includes the best ways that you can assess waste operators costs and environmental accreditations. Analysing their range of collections – do they offer everything your small business needs? For a greater understanding of what to expect from a good waste operator, download the guide. 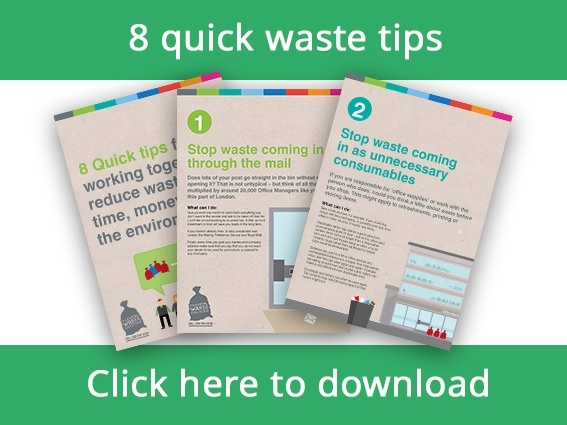 Our guide containing 8 quick waste tips that can help you reduce waste, save time, money and the environment is just what you need to improve your businesses waste management practices. 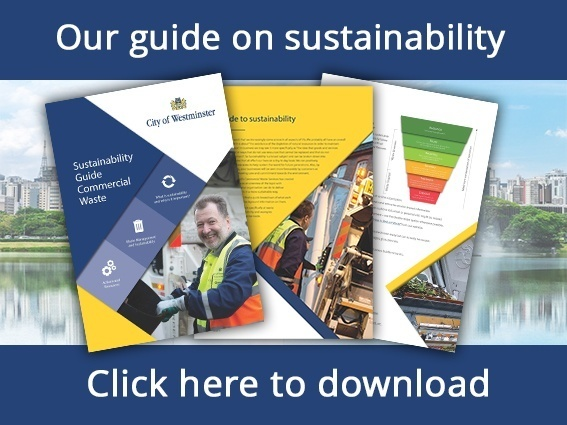 If your the role in your organisation includes reducing waste generated and organising efficient and good value waste collection, we hope our guide will help. This guide usually results in three main actions. It helps you to reduce the amount of waste you are producing straight away. The time you spend on managing waste. Lastly, the money spent on disposing of waste. Part 1 identifies the key areas that should be included in a businesses sustainability plan, along with some top-level advice on how to approach them. Part 2 is on sustainable waste management. In this section, we use our extensive experience in this area to provide you with expert practices on how to sustain your waste management. Part 3 provides you with some actions that your business could take to improve your sustainability. There are also some resources to help you do so. In which areas do we provide services to small businesses? We can provide waste management services for all small businesses within the whole of Westminster, please see our list of areas below, including maps highlighting our boundaries. Even if you’re not based in Westminster, or have branches elsewhere, we can still help you with waste and recycling collections. For more information on our services outside of Westminster, please contact us.